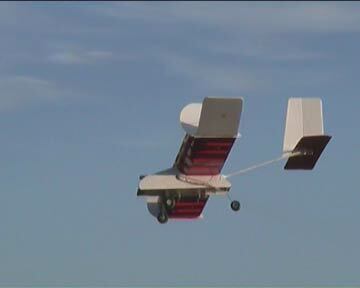 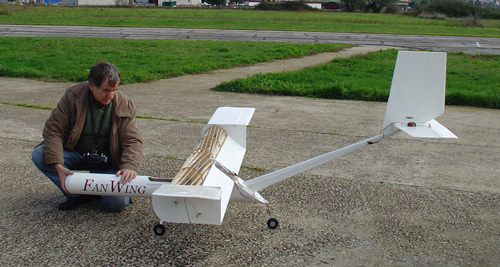 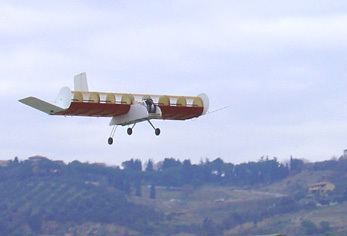 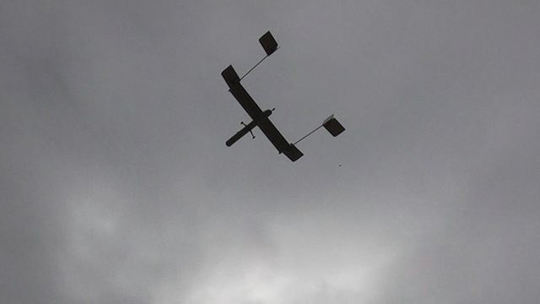 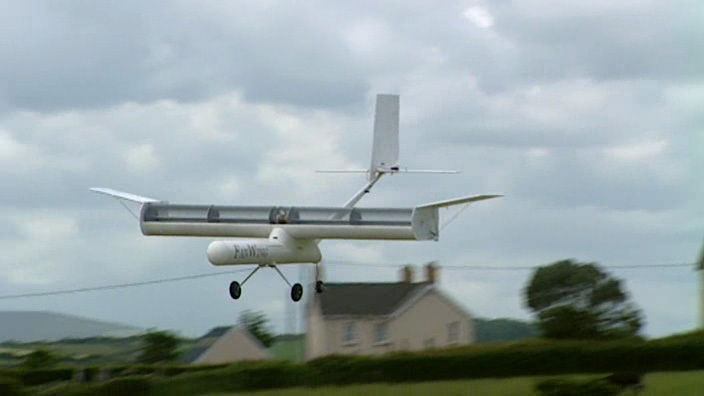 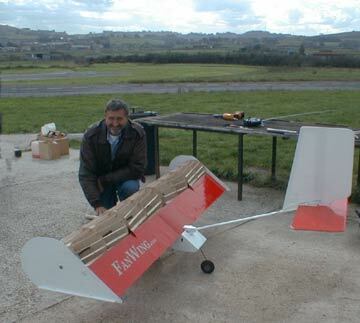 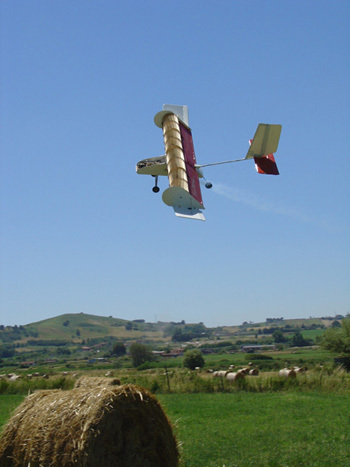 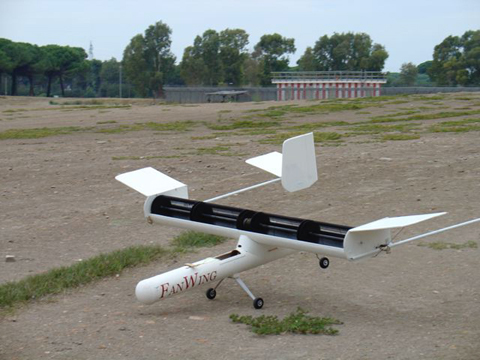 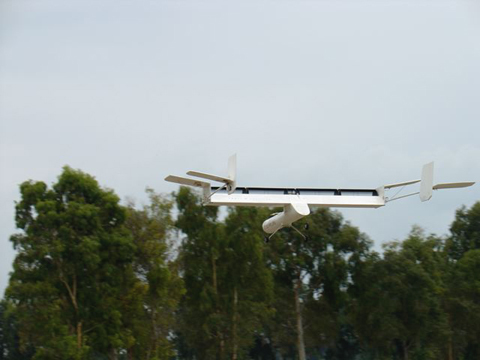 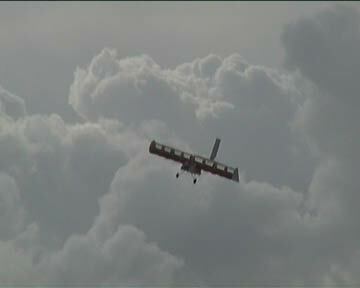 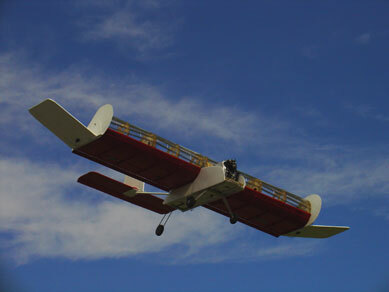 2011- 2014 FanWing OHS Twin-Tail: A new twin-tail Outboard Horizontal Stabilizer (OHS) configuration has now been successfully flight tested by Pat Peebles and pilot Raffaele Moreschini with resulting improvements in both efficiency and stability. 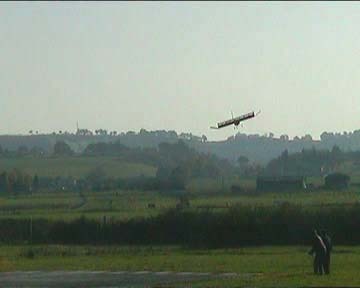 Exploiting the updraft from the wing tip (as geese do in their V formation flight), the radical change in design was based on a suggestion by former Principal Concepts Engineer for BAe, George Seyfang. 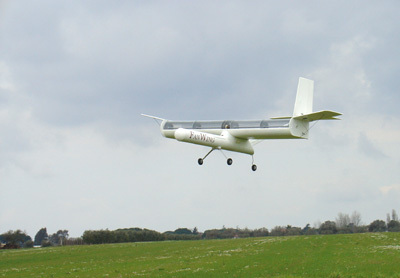 Figures calculated from onboard logging demonstrate an increase in lift efficiency of between 10 and 15%. 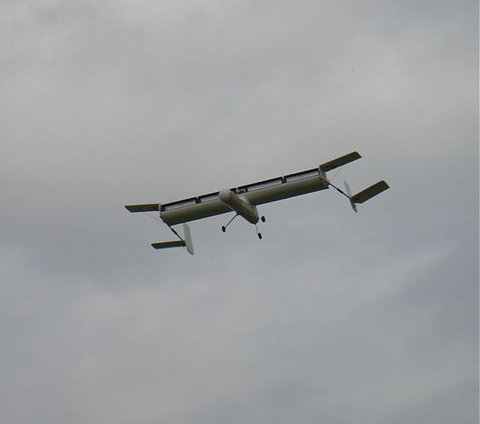 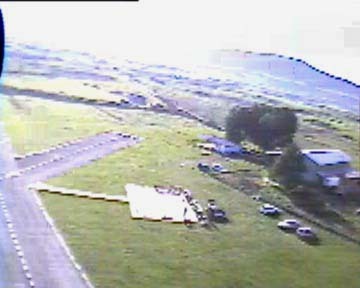 The Murch/SMART UK government co-funded UAV model is now flying under RC control and engaged in ongoing weight tests, still open ended but with present payload now at 12kg. 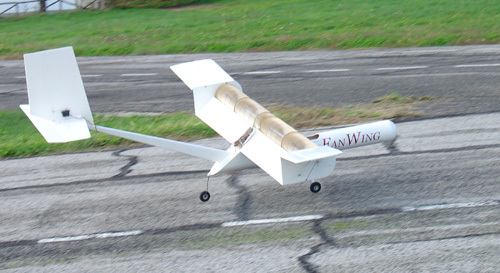 It is clear that the new FanWing technology lift efficiency improves with upscaling. 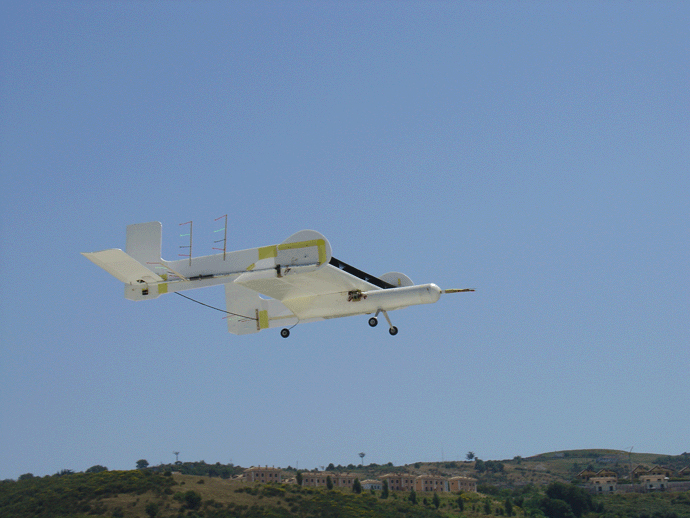 The company are keen to exploit the possibilities with a larger prototype which will not only act as a high-lift commercial UAV airframe but also provide essential research data for the future manned ultralight. 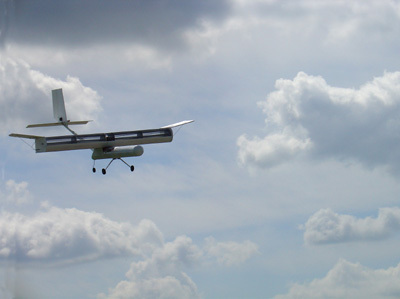 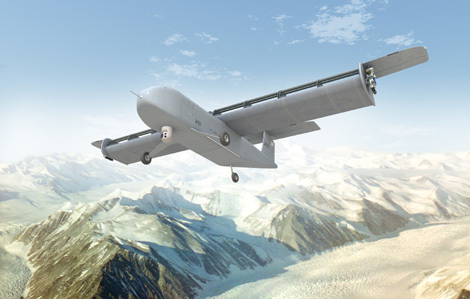 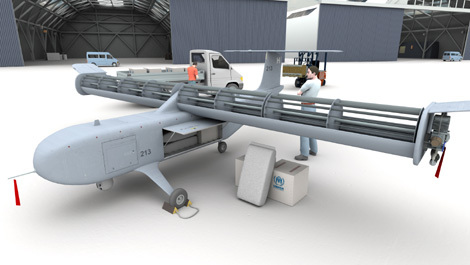 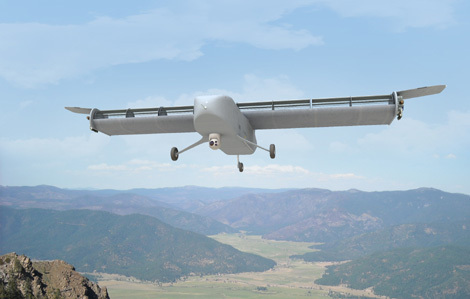 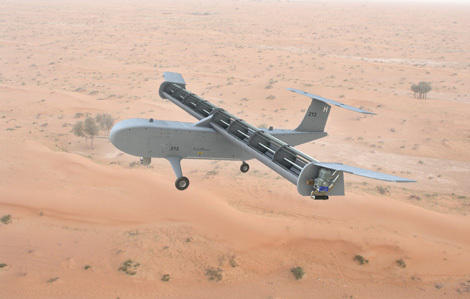 First (SMART) Phase (completed end of 2003): production of a viable long-endurance (> 8 hours) slow-flying manoeuvrable surveillance airframe. 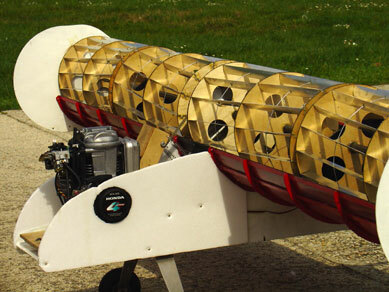 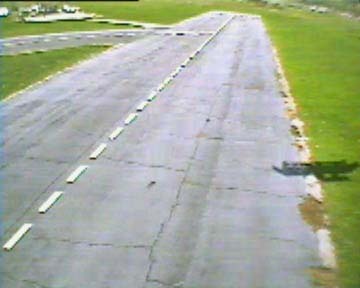 Projected Third Phase: construction of a new prototype airframe to carry 60 kg of useful payload, with a flight duration of 12 hours controlled by an autonomous flight-control computer. 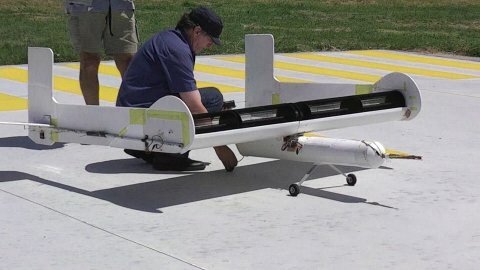 *A new engine will be installed shortly which will use approximately 500 g. of fuel per hour providing 8 hours of autonomy with 4 kg in fuel, leaving 6 kg for electronic payload.